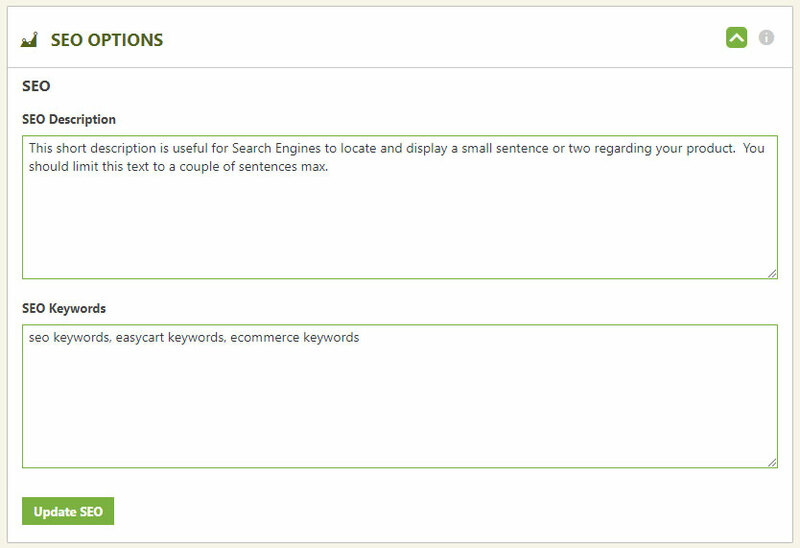 SEO options allow you to customize the keywords and description meta information for a product. SEO Description – This is a two sentence write-up that should be focused on your product and is often used by search engines as the small descriptive text under a search listing. SEO Keywords – This is a good way to specify keywords for this product and your business. It should be precise and fit the context and keywords found in your short descriptions, descriptions, specifications, and other text on this product page. Simply enter keywords seperated by a comma.